Screen Recording has always been of great use whenever you want to self record a video tutotial or assist someone in 'how to' tutotrials, where you help people learn the use of a certain program like C++, screen recording stands out. Not to forget, such softwares are extremely useful in making presentations which can be later uploaded on Youtube or sent via email to a friend. Now you already know the art of taking screenshots from your computer but today I will help you learn about 5 great and free sofwares that will allow you more then just taking a still. You will be able to record a good quality video of whatever you do on your desktop. 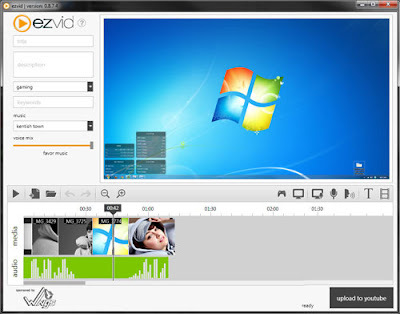 Ezvid is the best free screen recording program providing you with video editing capability which can include addting text between the clips and splitting of the clips into small portions. The software is also compatible for the video to be uploaded on Youtube using the software itself. You can also record your games using the 'Gaming mode' available in the software with audio clips included in the program for the background voice. Hoever you can also put the background voice to silent. 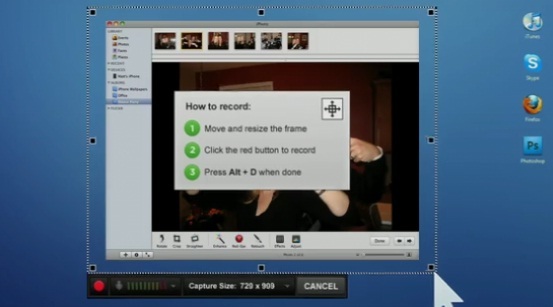 The application makes use of your webcam to record the activities that you are doing on your dekstop. 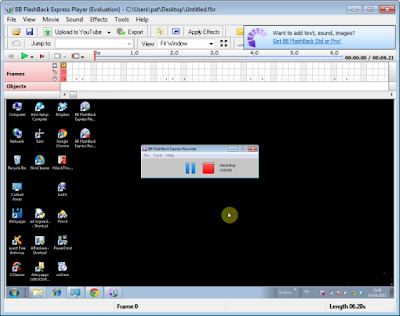 The video is recorded in an FBR file which is later converted using the video editor that comes builtin with this program. You can directy make the video in AVI format by not enabling you webcam. Just click record. Screenr's web-based screen recorder makes it a breeze to create and share your screencasts around the web. This does not require any installation on your computer, you can share a screencast online. Hoever it requires Java to run. The application can record upto 5 minutes of video length, a link of which is later saved into your account which you can share later adn upload it anywhere, like Youtube. The video can also export the video to MP4. With Rylstim Screen Recorder, you just need to hit the start record button and the application will begin recording whatever happens around on your desktop screen. The program however does not record anyform of sound coming as an output from the microphone, and is silent. So people who do not want much video editing and modifications with their screencasting, Rylstim Screen Recorder can be of much use for them. The sofware however shows your mouse clicks during the recording. A red ripple appears ont he screen if you hit the left clicka nd a green ripple appears on the hitting of the right click. However for this feature , you will have to enable the mouse click option. CamStudio records your screen activity into AVI files, but it comes with different options to the way of recording. You have choice to enable mouse cursor, include or exclude the voice coming as an output from the microphone and enable the custom screen annotations. With CamStudio you can also record a specific desired area of your desktop screen and hide any desired area of the desktop that you might not want to reveal in the recording. Recirding is available at different frame rates.